Been struck down with FOMO? 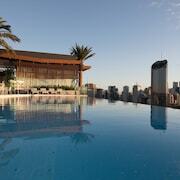 Spoil yourself with some time away in South Bank. 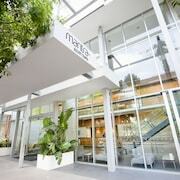 Situated 1 kilometre from central Brisbane, it's a fantastic place to stay while checking out Queensland's capital. Whether your holiday is short and snappy or your pace is more relaxed, there's tons to see, do and discover. Swing by a few of Brisbane's most famous attractions, like Queen Street Mall, the Brisbane Convention and Exhibition Centre and Roma Street Parkland. 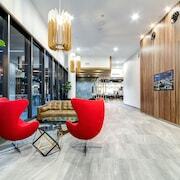 You'll be able to stay near Queen Street Mall at a number of places, like the Emporium Hotel, Spicers Balfour Hotel, Brisbane Marriott Hotel, Quest River Park Central and Hilton Brisbane. Visitors feeling the urge to splurge should get down to Merthyr Village. 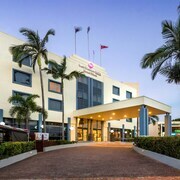 If you're planning to crash somewhere close by, two fantastic options are the Brisbane Riverview Hotel and The Manor Apartment Hotel. Take your friends and family for a picnic or a relaxing afternoon walk through Mowbray Park. 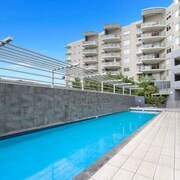 Consider staying at the Rydges South Bank and Evolution Apartments if this sight is higher up on your must-see list. What are getaways for if not spending? 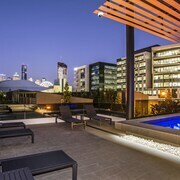 The South Central and The Capitol Apartments are lastminute.com.au's top picks for those travellers who don't mind throwing down a little extra dosh. If you fancy sitting down with a hot coffee, Olio Cafe & Bar is not too far away. Why not spoil yourself with a piece of cake while you're there? After all, holidays are for indulging, right? 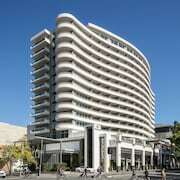 Having trouble finding the best South Bank hotel deal? 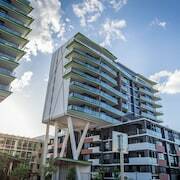 Don't give up — there are heaps of options in South Brisbane and Brisbane. 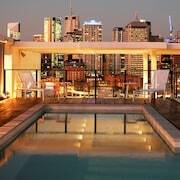 So, in just a couple of clicks you can log off and start packing your bags for an awesome South Bank getaway. From flights to hotels, we'll help you every step of the way — just say the word!